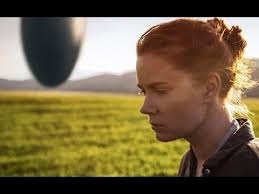 Arrival represents the most recent offering in a string of fall movies that expand the boundaries of our typical space alien genre. Starting with Gravity (2013), Interstellar (2014), The Martian (2015), and most recently Arrival (2016), we are treated to space movies without a clear antagonist. In each of the former, mankind faced off against nature, circumstance, and his own limitations of perception and understanding. Expansion achieved triumph, ultimately, to varying degrees. 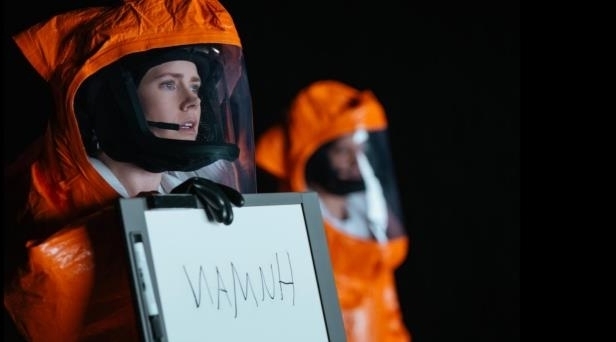 Based on the short story by Ted Chiang, Arrival centers around linguist, Louise Banks (Amy Adams), efforts to communicate with aliens that suddenly appear over 12 cities around the globe. The movie has a lot more in common with Close and Counters of the Third Kind than Independence Day, despite the multi-city monolith appearance. The focus of the movie on the ability to communicate with the aliens leads to a slow boil cerebral affair. Louise back-story is filled in through an intermixed series of flashes and her own spoken narration outside of time. It is revealed through this that she has lost a daughter and had a husband that abandoned her because of the illness. 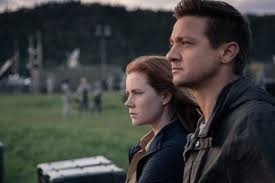 The side story and backfill lend to the artsy tone of the movie, though later they are revealed to be much more important to the narrative, and not just a development of a character study. This later reveal of the grander tapestry of the film gives it a firm position in the sci-fi genre. Clearly, the movie is a statement about mankind’s ability to cope with “otherness”. Initially, as the nations attempt to communicate with the aliens, they share information and understanding, but as time goes on, fear of alien intent leads to rivalry and competition. 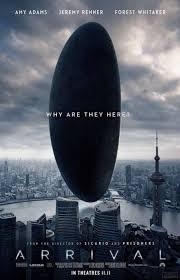 Though not a blow-em-up space alien feature, Arrival, is well worth a look.